For independent pharmacies, pouch packaging technology from Parata makes sense. 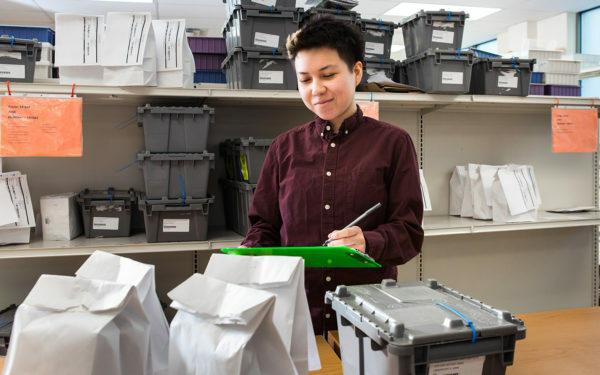 PASS Packs simplify adherence for patients, giving them the confidence to take control of medication compliance. The easy-to-read packs clearly state the medication, dose, and time of administration. They no longer wonder when the next dose is due or if they took their morning meds. With PASS, you can differentiate from the competition and improve the financial health of your pharmacy. When patients enroll in a PASS adherence program, they transfer all their prescriptions to one pharmacy and increase their refill rates. PASS pharmacies see an average of 29 more scripts per patient per year. For closed door pharmacies, Parata pouch packaging is the better solution. The workflow for pouch packaging improves accuracy, reduces medication waste, and offers the flexibility to serve multiple facilities with ease. Your pharmacy operates more efficiently and is able to sustain growth. Preparing blister cards is either manual, increasing the chance for error, or slower with blister automation. Skilled nursing facilities that have switched to PASS packs prefer the speed and accuracy PASS provides. Parata’s industry expertise is at your service. We work with our customers to ensure they are equipped with more than robots. We have the advice you can count on to maximize your operations and attract new business. And we listen to our customers to find the best ways to help your business make that next leap. What’s more, we have a world-class support team who understands downtime is costly. Our technical support team in Durham, NC, solves most issues over the phone in under 20 minutes. And our field service team are all Parata employees, not contractors. Add our adherence strip packaging to your pharmacy team. Revolutionize medication administration and improve patient adherence and outcomes with the Parata PASS solution. 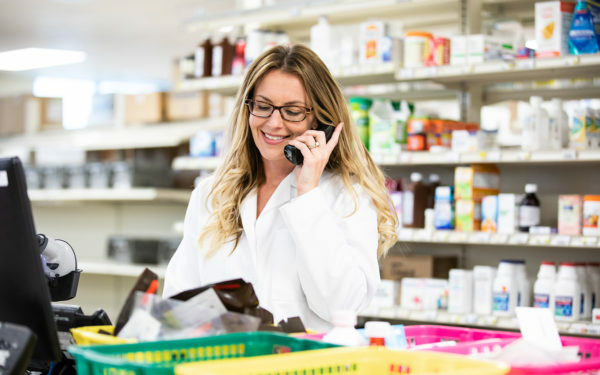 Find out how PASS fits in your pharmacy. Verification has often been the most time-consuming part of strip packaging. 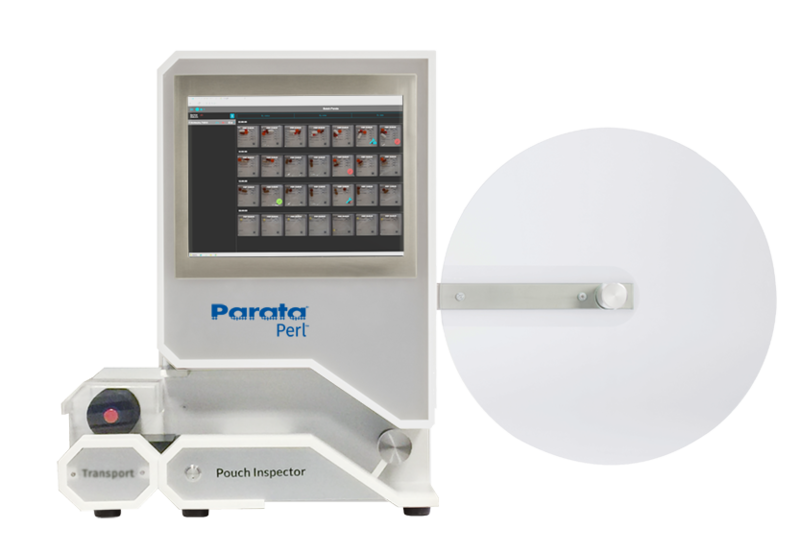 Parata is out to change that with Perl, the best inspector on the market. Safety. Efficiency. Accuracy. Parata PASS Ware makes it easy to prepare medication packs. 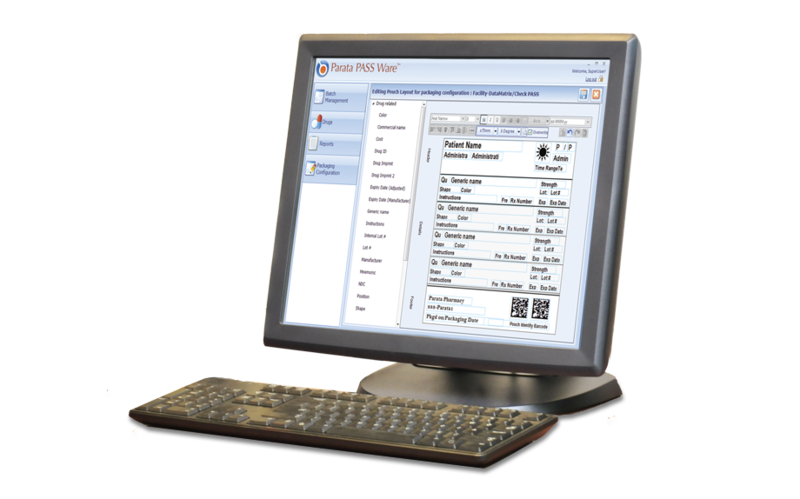 PASS Ware interfaces with more than 100 pharmacy host systems. Our light-to-fill tray, Parata PASS Safe Loader, takes the uncertainty out of managing one-off medications, over-the-counter drugs, half tabs and slow movers by automating the preparation of special tablet system (STS) trays. What’s it like to be Powered by Parata? It’s easy for patients to take the right medication at the right time. Most independent pharmacists are concerned about their future. I’ve never been more optimistic about my pharmacy. Our rate of growth is astonishing — we add several patients each week — and our patients are telling families and friends about our medication adherence program, too. It’s made me a better pharmacist because the technology drives adherence. At the end of the day, that’s the ultimate goal of a pharmacist – to make sure patients take their meds.